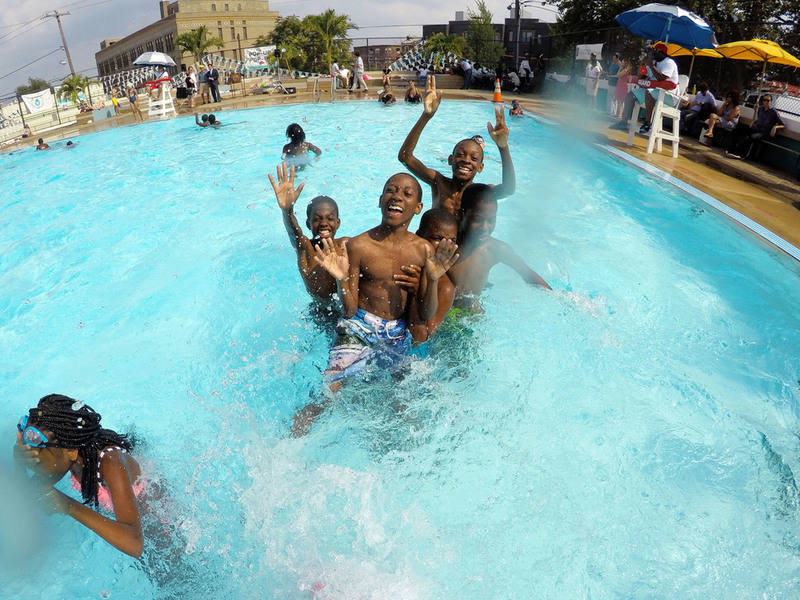 Philadelphia has more free outdoor public pools per capita than any other city in the country. 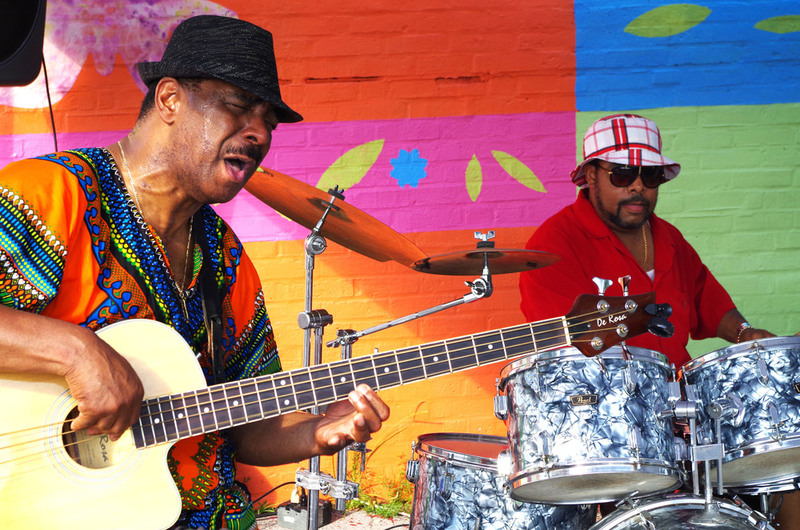 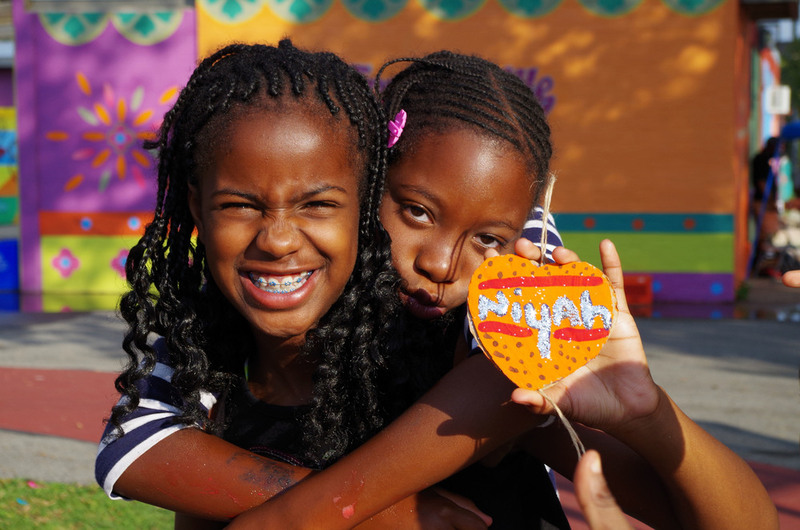 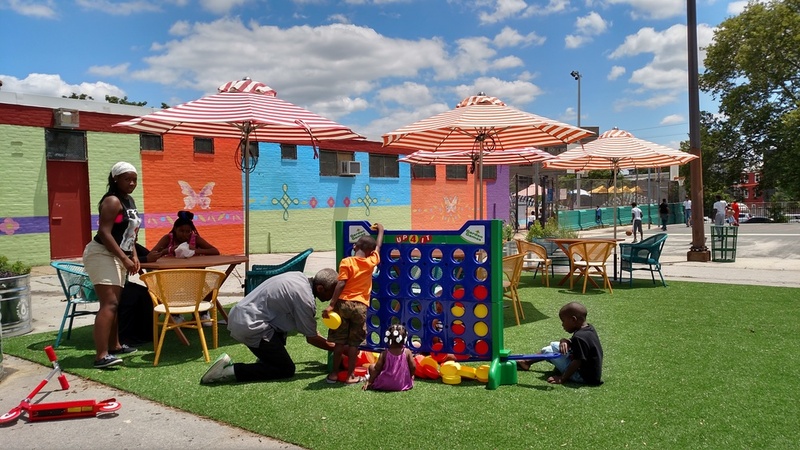 They offer communal play spaces, relief, and exercise opportunities in diverse urban neighborhoods. 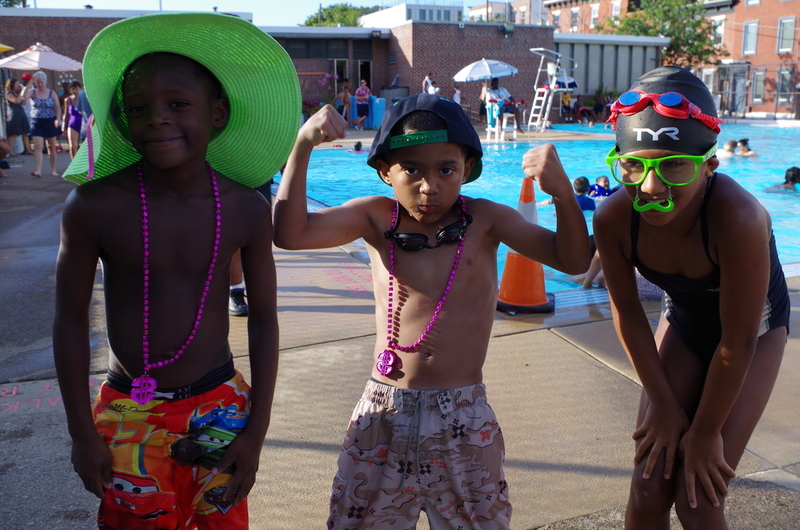 However, Philly’s pools offer little more than a body of water surrounded by unshaded concrete. 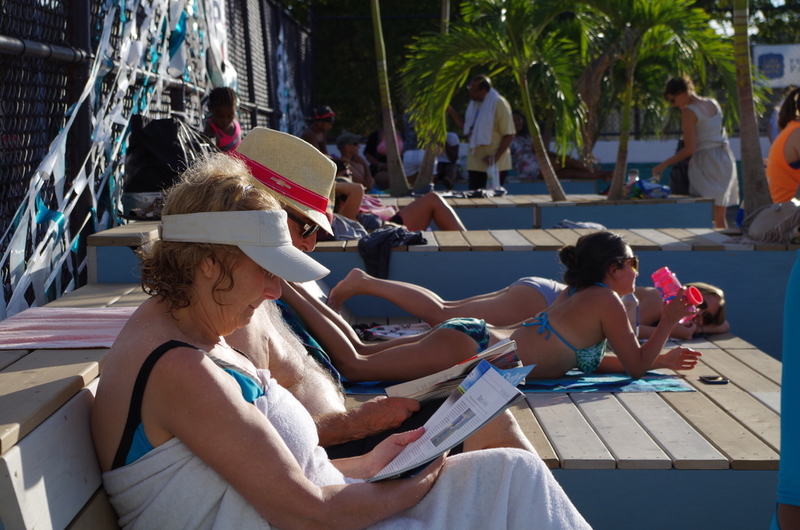 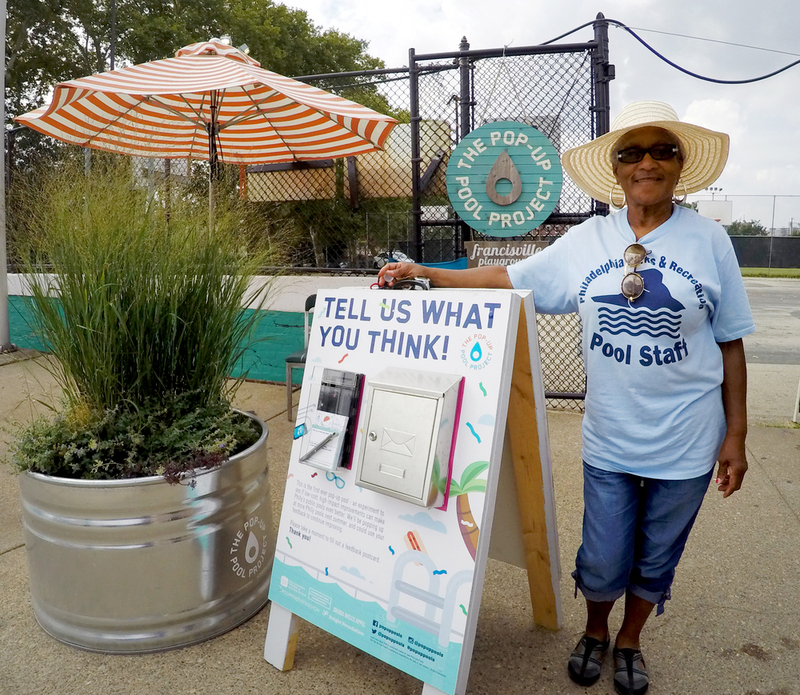 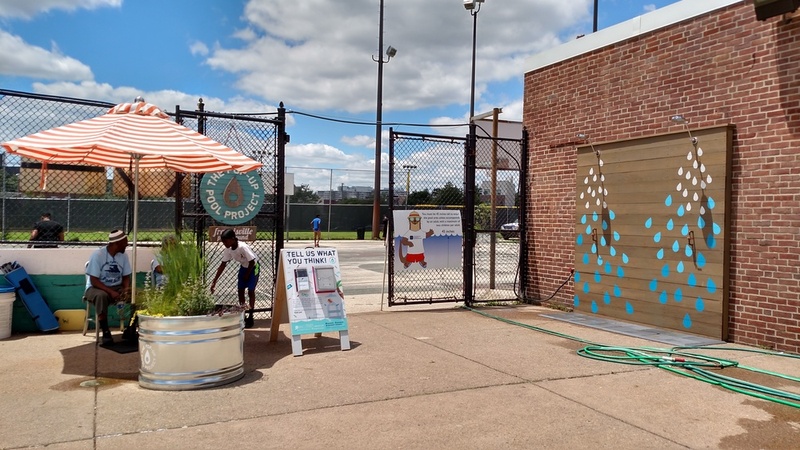 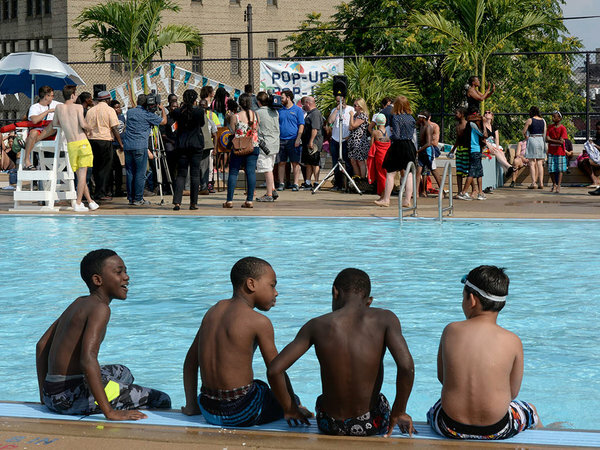 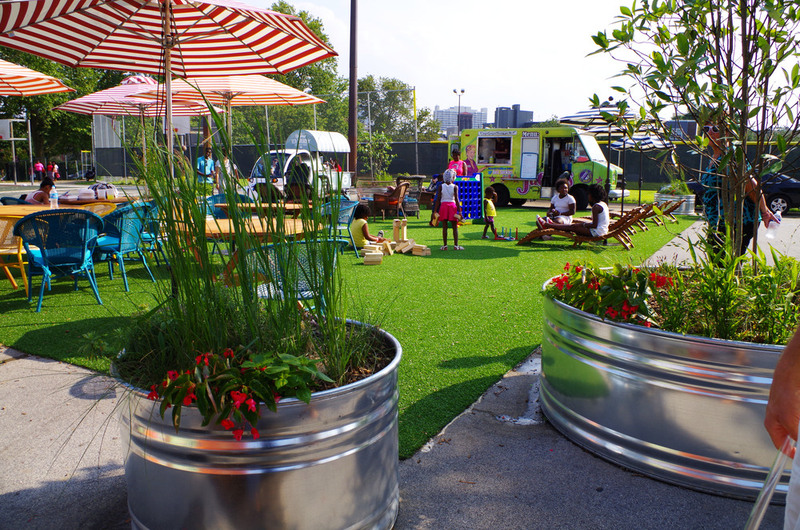 A winner of the Knight Cities Challenge, The Pop-Up Pool project uses relatively low-cost, high-impact design interventions to transform underutilized public spaces into catalytic, civic open spaces. 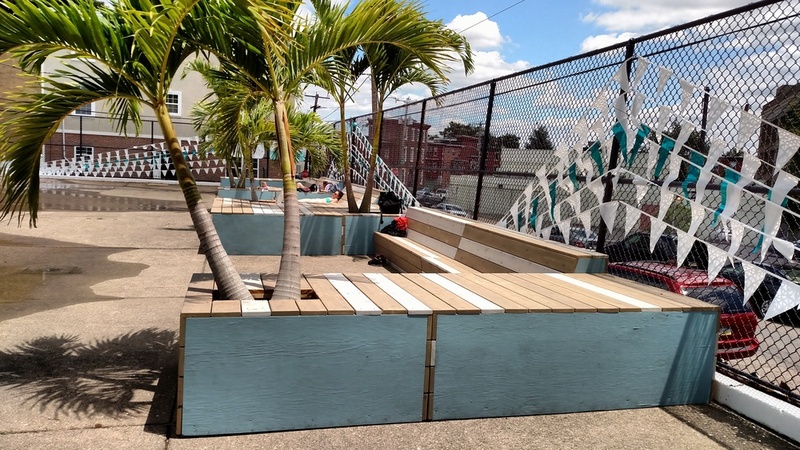 For Francisville, the project’s pilot site, these interventions included a cedar deck lounger with palm trees, lush plantings, moveable tables and chairs, oversize games, shade umbrellas, and active programming.